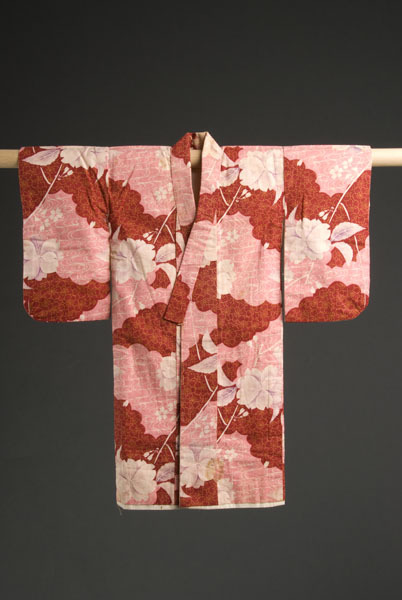 1 kimono : cotton, muslin ; 23.25 x 11.75 (center back) in., sleeves 12 x 5.75 in. 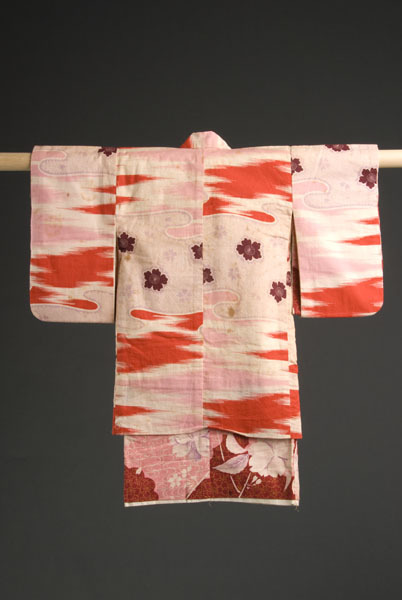 Accompanied by child's haori (2004.1.205B). 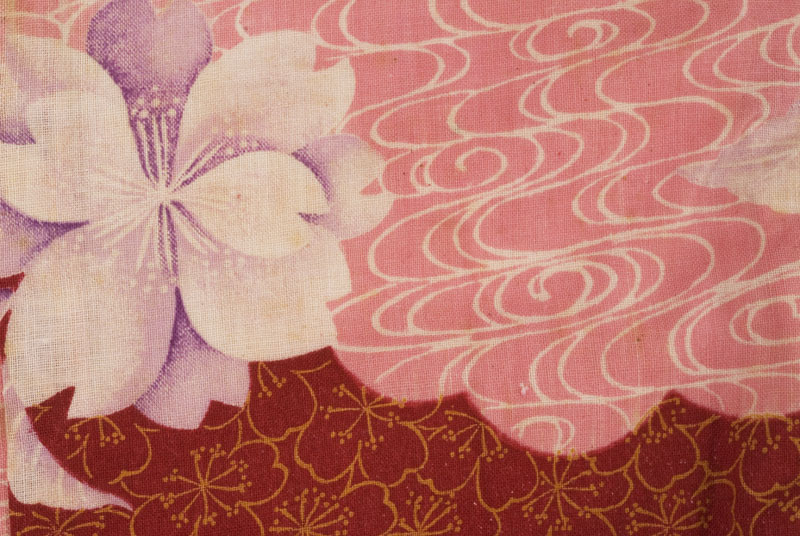 Pink, red, lavendar and cream cotton Hasami-nashi kimono with sakura flower and wave design. Fully-lined with cream colored cotton muslin. Collar is 1.25 in. wide. 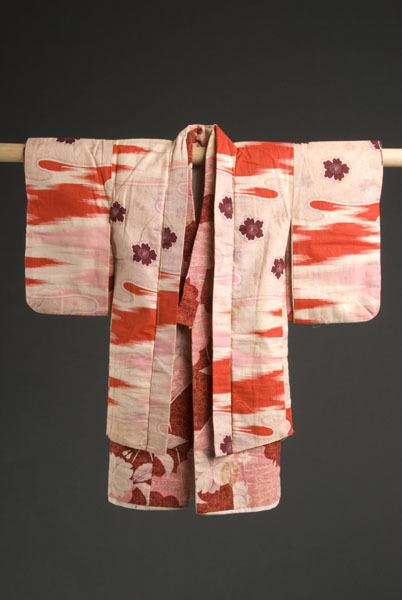 Hasami-nashi kimono is sewn without scissors except for snipping of the selvage. 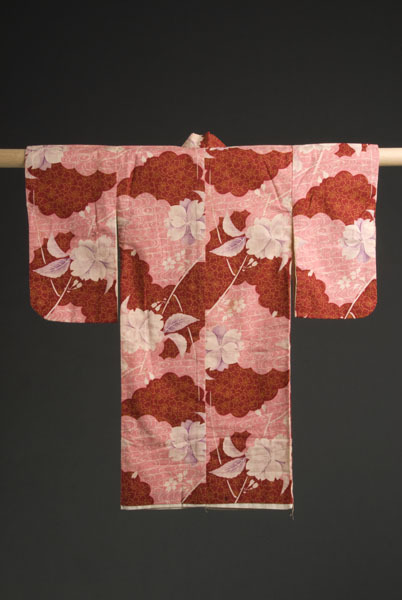 This shinmosu (cotton) kimono was sewn by Mrs. Kaku Kumasaku a picture bride who came in 1921 from Fukushima, Japan.